Adults – over 18 or college students – can purchase a 5 half-hour private lesson pass This is ideal for adults that would like to brush up on their musical knowledge from lessons taken years ago, take their music to the next level or embark on a journey of music that they've put off due to a busy schedule. It's time to put yourself first again! Adults who cannot make the commitment to a weekly music lesson commitment can purchase this pass and sign up for lessons as their schedule allows between 11:00am and 2pm and 8pm to 10pm. 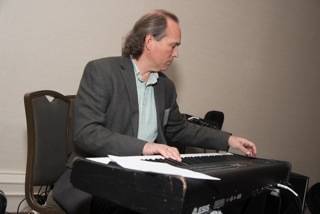 Adult Music Lesson Passes may be purchased for private piano, voice or guitar lessons with BYPC's music directors Jeff Davison and Dave Couture. Contact the office at BYPC for lesson availability and scheduling, (603) 472-3894.